NIS confirms Dino Melaye’s arrest – Royal Times of Nigeria. 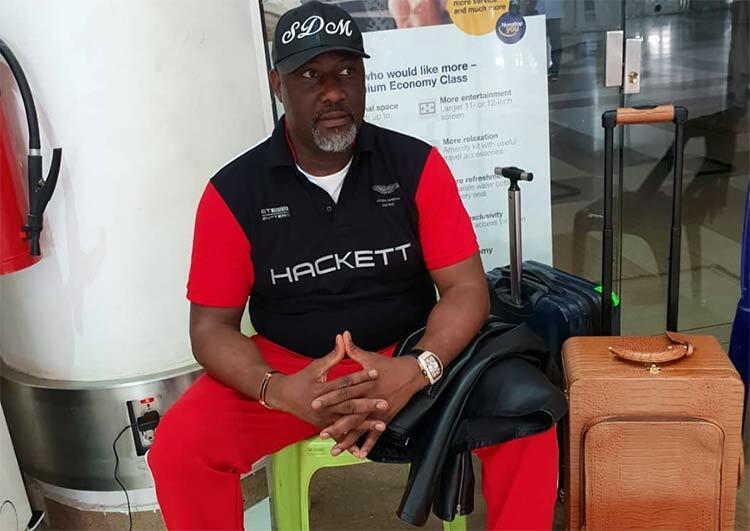 The Nigerian Immigration Service has confirmed the arrest of Sen. Dino Melaye at the Nnamdi Azikiwe International Airport, Abuja, on Monday morning. Spokesman of the Service, Mr Sunday James, told the News Agency of Nigeria that Melaye was arrested by Immigration officials based on instruction. The confirmation came hours after the senator, who represents Kogi West, announced the arrest on his Twitter handle at 7:32am. It could be recalled that the police recently declared Melaye wanted after he was accused of supplying arms to some murder suspects, who allegedly implicated him. The senator denies the allegations, which he describes as politically motivated.